This is a new feature on the blog, and one that I hope will catch on; it is the Q&A session for a fellow running blogger and twitter friend, allowing us all to better know the people we talk to almost every day on Twitter, Facebook, and email about running. So here, answering my questions, is our first runner, introducing Joanna, better know as @PaperInEurope who blogs on http://www.happyfeetinthenetherlands.blogspot.nl/. I run because it makes me strong – no matter how I start (whether I am not in the mood, or feeling low etc) I always feel much better after each run. It always reminds me I am capable of more, than I can imagine. Running is exciting, magical and rewarding – it‘s something very personal but shared with millions. J It is one of those few things in life, that brings me in a euphoric state, that I could be at a loss for words! 2. When did you start running? 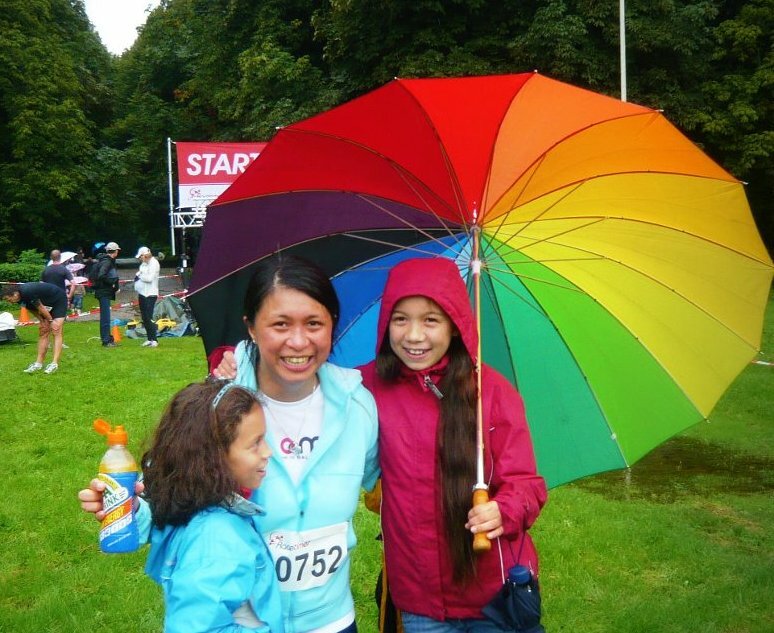 8th of August 2011~ J It‘s when I determinedly set a goal to run my first 8K in 8 weeks. Finally beginning a childhood dream of being a runner, 30 years later. 3. Do you have a ritual? Or a pre-race ritual? 4. Do you have items of essential kit that you cannot be without? I call myself at times the „naked runner“ – of course it is not literal! J After my very first 5K where I got so flustered because my iPod did not work as I programmed it. And I was basically to warmly clothed for the race (it was a very cold rainy August). I vowed to be as simple as possible. Occasionally, I bring a bottle of drink. But I did not even wear a drink belt (I used it for my long distance runs during training) for my first marathon in Berlin, nor 3 weeks later in Amsterdam. Well, I have to admit, I can‘t imagine being without my Nike+ Sportwatch because it helps me keep my pace. I plan running a marathon without it, though. But definitely not yet the next race! 5. What is your training regime? This year I followed a 4 runs a week scheme, but not rigidly. If I can‘t because of conflict with family schedule then I see to it that I at least have two runs a week, making sure that one of them is the long distance run on Sunday. During the week, I biked a lot out of necessity to bring our girls to school (each day could be 20-30 kms with running errands in the mix). 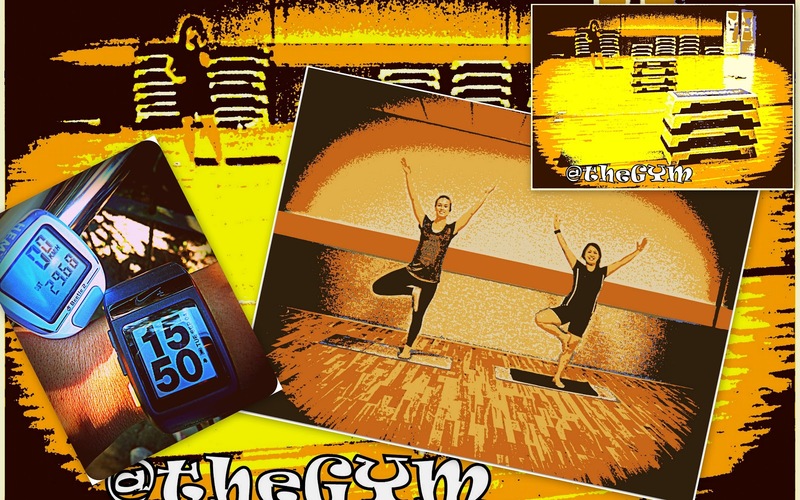 After bringing the girls to school, I go to the gym either for strength training, zumba, pilates, body pump, or yoga classes. I would love to add swimming for the next marathon training, which I hardly managed this year. 6. What has been your favourite race to date? 7. What has been your least favourite? 8. What are your running plans for 2013? Almost the same with 2012, run a race at least once a month (will most probably revisit all the races from 2011), and run two marathons. This time not 3 weeks apart, though! Hopefully, one in Spring and one in Autumn. I aim to work hard and improve on my pacing and have a better PR. 9. What is your crowning achievement? Your greatest moment of pride running? 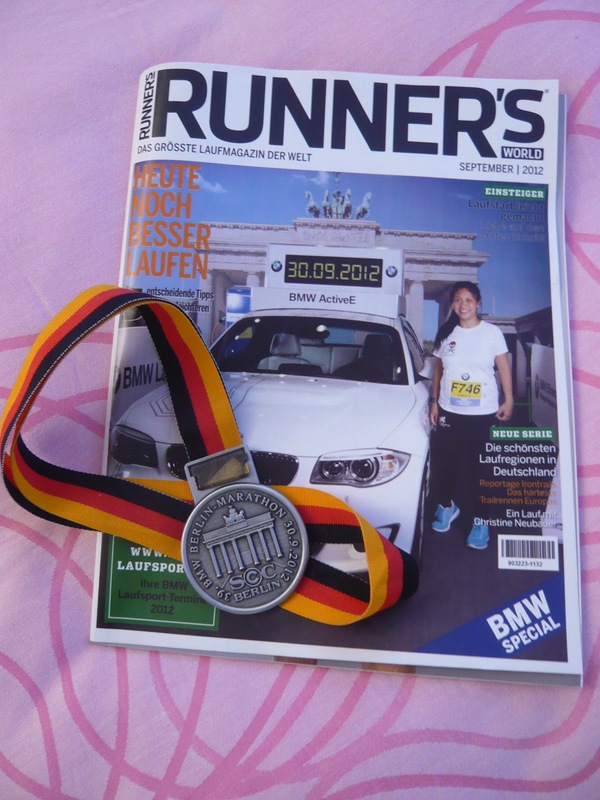 As a finisher of the Berlin Marathon 2012! 10. 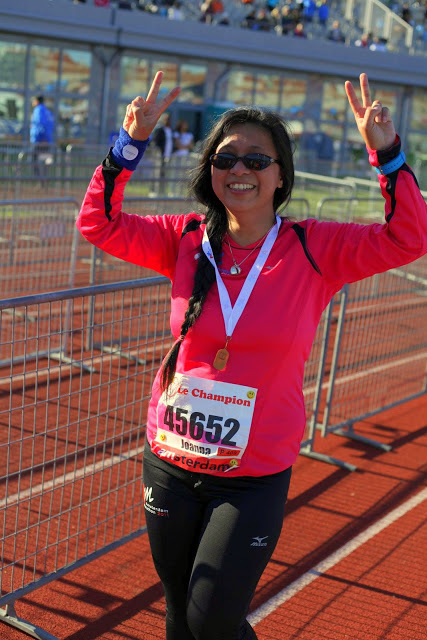 How was running two marathons in one month (Berlin and Amsterdam)?